What is Gold Sold Secure lock? And when do I have to use it? How should I choose the insured value of my bike or accessories? What types of races is my bike covered during? What do you ask for when signing up? Does my policy automatically renew each month? What information do I need to provide to make a claim? If your bike is stolen whilst it is left unattended away from your home we will need to see evidence that you used a Gold Sold Secure lock before we can pay a claim. But what is a Gold Sold Secure Lock? Sold Secure is an independent, not for profit, organisation that test locks according to their strength, reliability and sophistication and ranks them either Gold, Silver or Bronze. Gold rated locks “offer the highest level of security”. You HAVE to use a Gold rated lock if you want your theft claim to be covered by Laka.  Silver rated locks “offer a compromise between security and cost” but that&apos;s not good enough for Laka customers! Bronze rated locks “offer defence against the opportunist thief” but are broken easily and you definitely won&apos;t be covered by your Laka policy if you use one of these to secure your bike. Is my lock a Gold Sold Secure Lock? If you’re not sure whether your lock is a Gold Sold Secure lock, you can type your make and model in here. We also collate the best deals on Gold Sold Secure locks from around the web to help you out; check out the best deals on Gold Sold Secure locks. What evidence can I give you that I used a Gold Sold Secure lock? The easiest and best way of giving us evidence is by providing clear photographs of your lock where it can be identified as a Sold Secure Gold Lock through the Laka platform in My Gear > Accessories. When you come to claim we will check whether you used the lock by reviewing the crime report you have submitted to the Police.